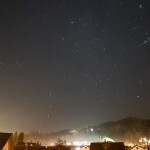 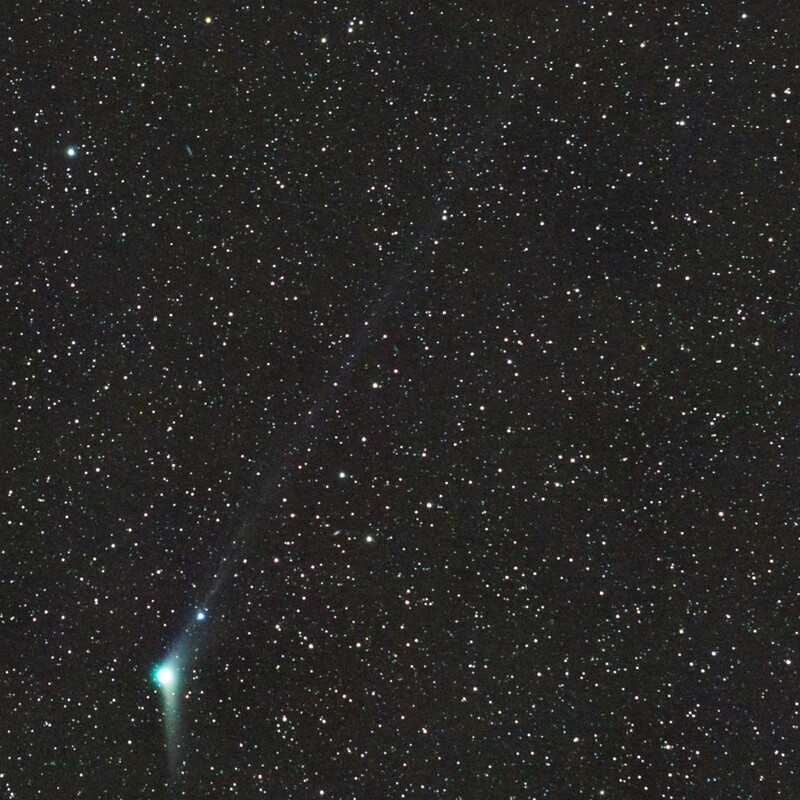 A crop from the image above showing the comet. 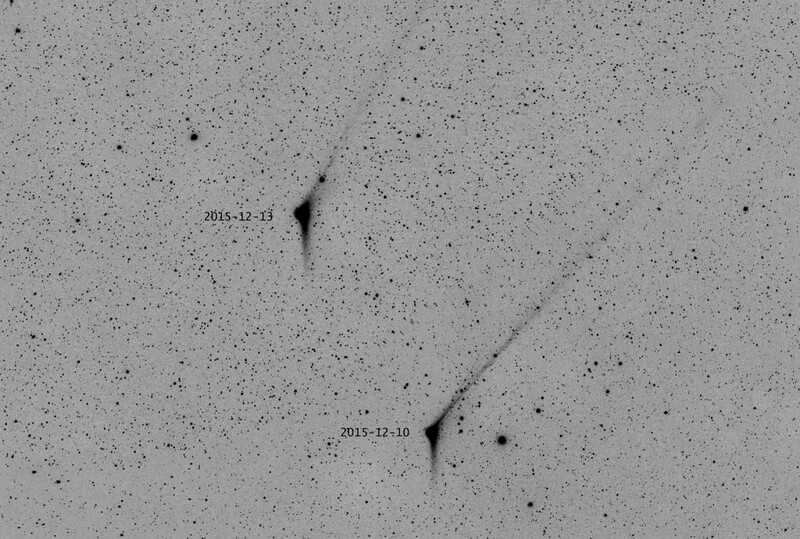 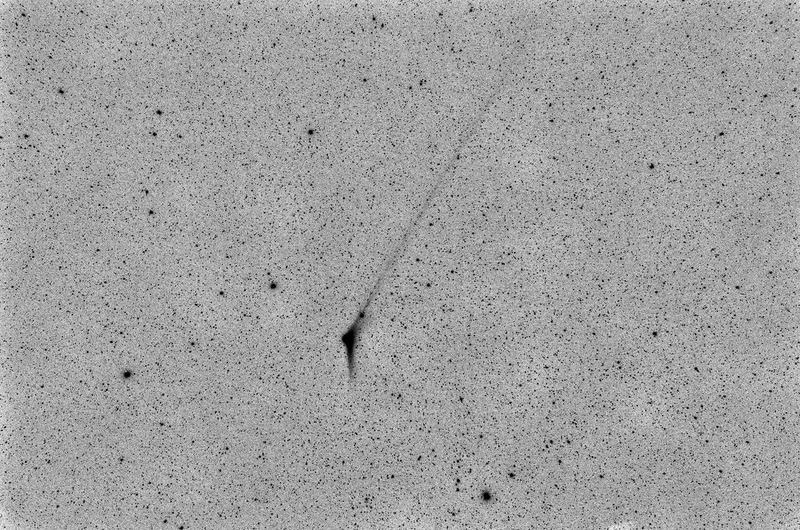 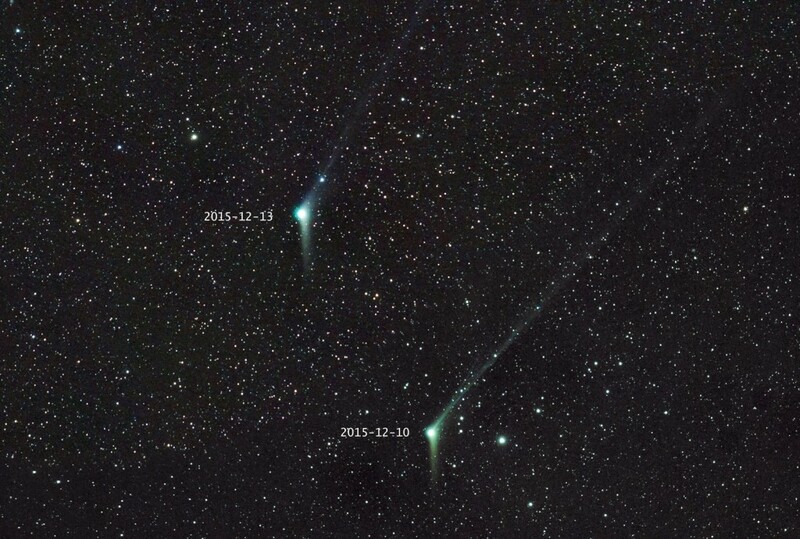 The tail disconnection event as documented by Gerald Rhemann and Michael Jäger left it’s marks on comet Catalina, the ion tail is much weaker now. 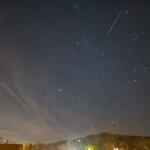 While the D750 was taking images of Catalina I busied myself and the D7000 to try to catch some Geminid meteors. 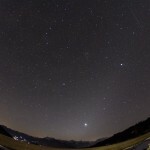 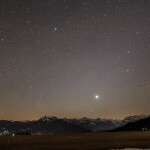 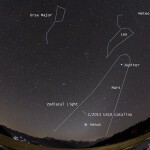 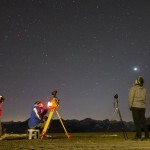 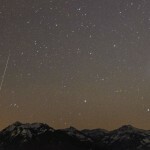 The zodiacal light was very much visible. 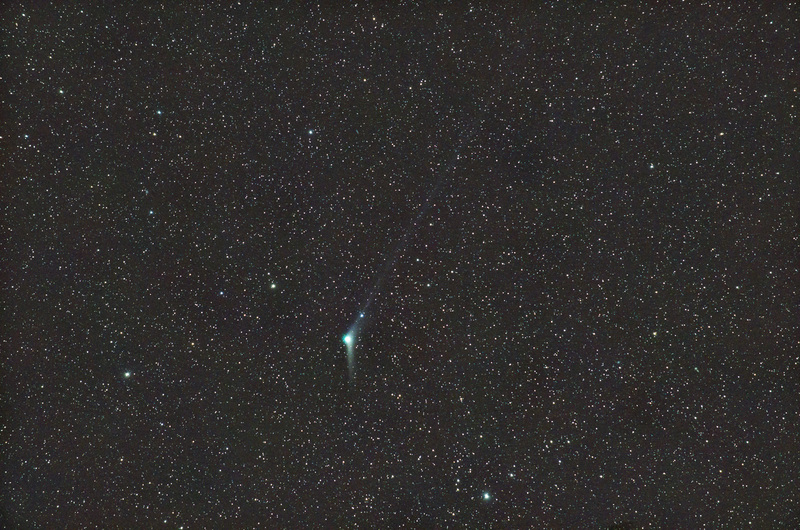 This entry was posted in astrophotography, C/2013 US10 Catalina, comets, widefield.